Motorola is all set to launch its new devices in their July 25th event in Ney York where the company might launch the new Moto X4, Moto Z2 and Z2 Force and the Moto G5s and G5s Plus smartphones according to rumors. But today, the Moto Z2 Force got leaked (via) by official Motorola China website which showcased the official image of the upcoming Moto Z2 Force device on the Moto Mods micro site which was removed later on. 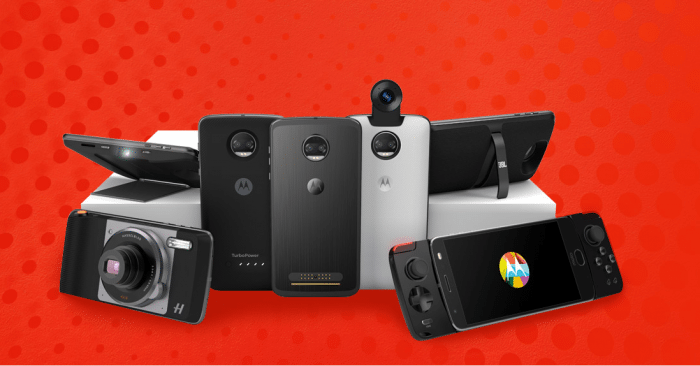 The leaked image clearly shows the Moto Z2 Force smartphone or the Moto Z2 with dual rear cameras and using the new Moto mods including the new Moto 360 camera mod and other mods as well. 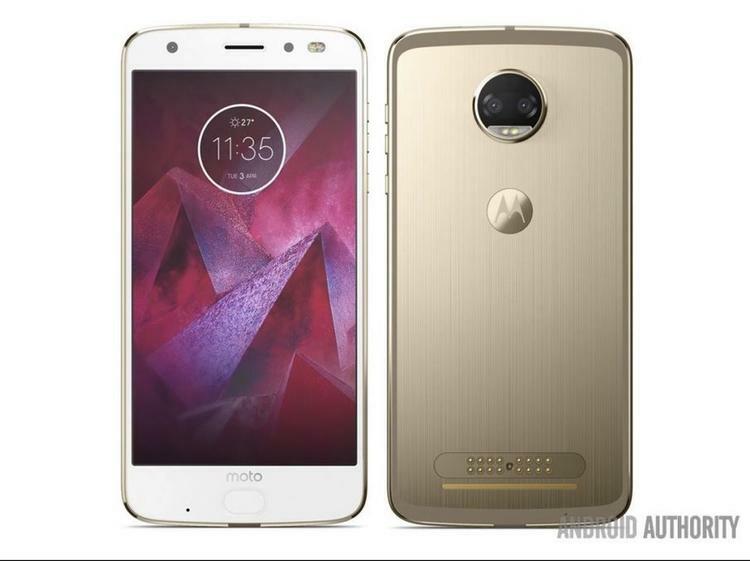 The leaked image also confirmed Grey and White color options for the Moto Z2 and Z2 Force smartphones. The Moto Z2 Force was already leaked through the AnTuTu benchmark listing confirming most of the specifications of the device. It was listed with model number XT1789-05 and is expected to be the Moto Z2 Force. It features a Quad-HD display with 1440 x 2560 pixels resolution and is powered by a Snapdragon 835 Mobile Platform with Adreno 540 GPU. The device runs on the Android 7.1.1 Nougat OS out of the box and will support Dual SIM in some regions. It comes with 6GB of RAM and 128GB of inbuilt storage capacity and is not expected to have expandable storage slot. It was listed with a dual 12-megapixel rear camera with LED flash and it also comes with a 5-megapixel front facing camera for selfie lovers. No other details about the device were listed in the AnTuTu benchmark so we might have to wait for its TENAA listing for more details. If we checkout the past rumors, the Moto Z2 Force is expected to feature a 5.5-inch Quad HD display with 1440 x 2560 pixels resolution and will be powered by a 2.45GHz octa-core Qualcomm Snapdragon 835 processor with Adreno 540 GPU. It will have 4GB of RAM with 64GB of inbuilt storage and microSD card expandable storage slot. It will run on the Android 7.1.1 Nougat OS out of the box and will also support Dual SIMs. It will feature a 12-megapixel dual rear cameras with dual-tone LED flash along with a 5-megapixel front-facing camera. It will have 4G VoLTE, WiFi 802.11 ac (2.4 and 5 GHz), Bluetooth 5, GPS with GLONASS, NFC, USB Type-C connectivity options. A fingerprint scanner will be available on the home button of device on the front panel. The Moto Z2 Force will have a shatter shield display just like the past “Force” variants of the device.